Mumbai, May 1 (IANS) Bollywood actress Sonam Kapoor will marry Delhi-based businessman Anand Ahuja here on May 8, the family has confirmed following weeks of speculation around the wedding. A statement on behalf of the Kapoor and Ahuja families was issued on Tuesday. “The Kapoor and Ahuja families take great joy and pride in announcing the marriage of Sonam and Anand. The wedding will take place on May 8 in Mumbai,” read the statement. The families have said it is an “intimate affair” and have requested the media “to respect the family’s need for privacy”. “Thank you for all your blessings and love, as we celebrate this special moment in our lives,” the statement read. 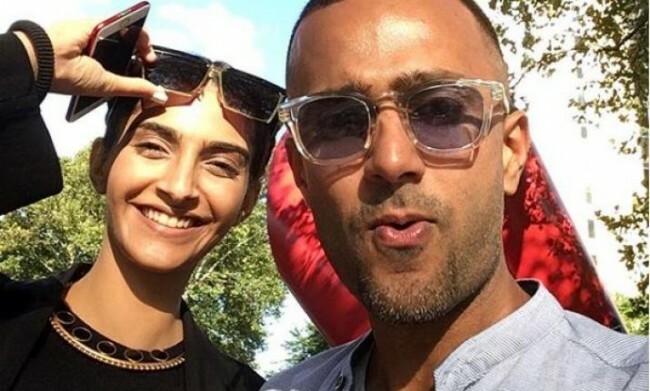 Sonam and Anand have been dating for some years, but it is only since a few months that they have been open about their moments and travel diaries together on social media. The lighting and decorations outside the Kapoor residence here added fuel to the speculation about the wedding. Sonam, after debuting in Bollywood with “Saawariya” in 2008, has featured in movies like “Delhi-6”, “Aisha”, “Raanjhanaa”, “Bhaag Milkha Bhaag”, “Khoobsurat”, “Prem Ratan Dhan Payo”, “Neerja” and “Pad Man”. Her performance in “Neerja” won her a Special Mention at the National Film Awards. Now just days before her next film “Veere Di Wedding” releases on June 1, she is busy preparing for her own wedding. A week after her D-day, Sonam will be seen at the 71st Cannes Film Festival red carpet to fulfil her commitment as a L’oreal Paris brand ambassador on May 14 and May 15.